Something about Leica owners photographing cats..
"And great news for the rest of 'us' once they realize they can't tell any difference in their cat pics and have become bored"
As someone who actually does get paid to photograph cats on occasion, I can say my new to me Typ 262 will make a huge difference. First shot out, with the venerable Canon 50/1.4, ISO 3200, lit by iPad light. In all seriousness, photographing pets (or children) without AF is a pain. But I'm very pleased to finally have a camera from this decade that I can crank up past ISO 320. Also, I gotta say I'm really really loving the M262. I thought I might have chosen wrong by not getting the M240, but I think I made the best choice after all. I don't need video or live view really. Remember when people used to take pictures of their tuna ? 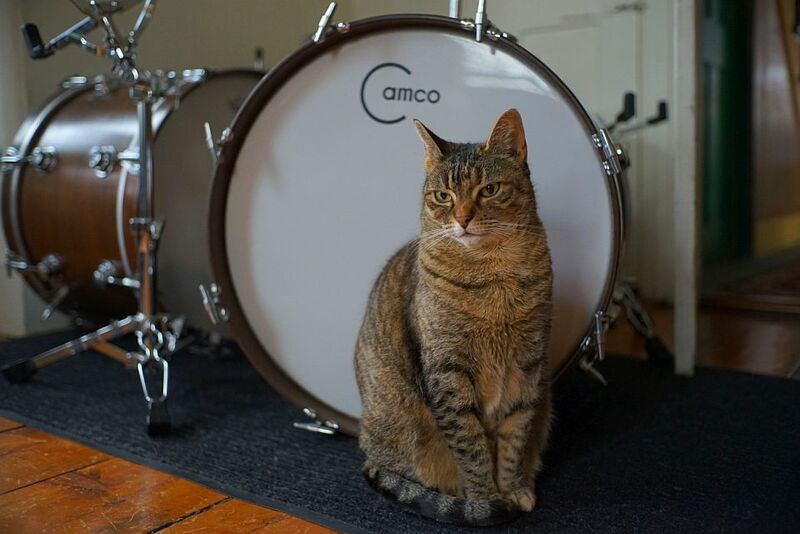 I photographed our cat with every camera I have or used to have in our house. M9, Cron 50 v3, @1600. Flickr seems to make it looks soft. 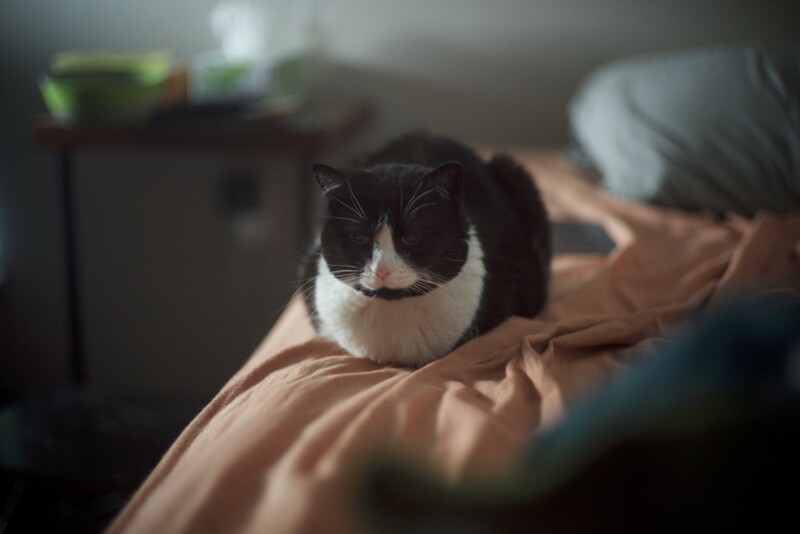 I photograph my cat for two reasons: (1) After buying Leica I cannot afford photography expeditions; (2) The only thing that is still enough to focus using my m8's rangefinder is my cat when it is sleeping. And even then it's a crap shoot if it happens to yawn. Tuna..whats that...?? Yu Crazy Huss...lol..
Drummer Kat..taken w/35mm f1.4 Summilux pre..and Sony A72..sorry Leica..! 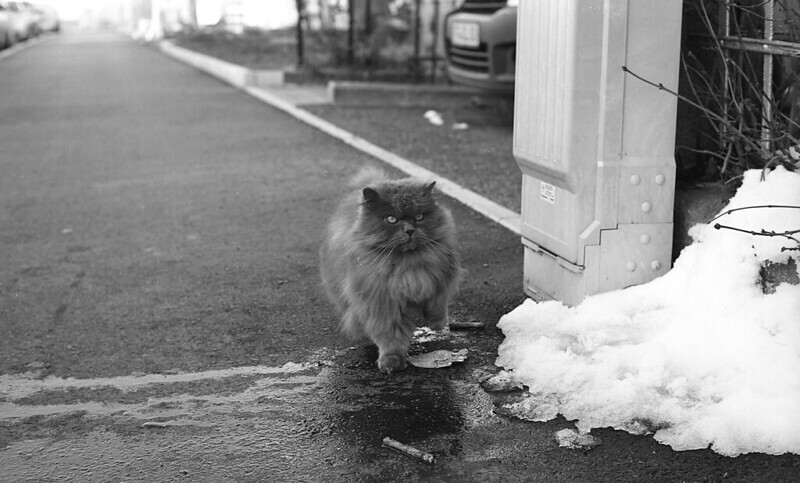 My only cat photos were taken 38 years before I ever owned a Leica. And they are somewhere in a box under a pile of boxes. An ocho! That was my brother's nickname for our family Aussie (still adventurous as ever at 16) of long-forgotten origin, that's come to mean any specimen of the breed for us. As for the camera: I am loving it, too. Woke up in a sweat the other night after I plunked down the payment wondering why the heck I was trading up in the first place, again worrying if I ought to have saved $100 and gotten an older 240, and yet again thinking I ought to have gone whole hog on the M10. Well, I could have bought several cameras or lenses with the difference of the M10, and the peace of mind of the newer camera was worth the small difference over the 240. No interest in video or live view either. Seems to be very polarizing opinions. I figure I've got an iPhone for snapshot videos and an old Panasonic for the very little 'real' video I do that takes the same lenses. I know it's gotten a lot better in the intervening years, but I used to use a D3s for work years ago, and the live view on that was just impossibly clunky. Don't see any reason to seek out a camera for that experience again. I also don't see the appeal of putting SLR lenses on it, when I've already got an SLR. I'd rather be able to put my LTM lenses on the Nikon. The new guy at my local dealer is a refugee from the Leica Store and has been bugging me to trade up to one of their piles of 262s they've got sitting around, trade-ins from the M10. Got a good deal from Adorama; my last two used purchases from them were DOA but this one's a keeper. 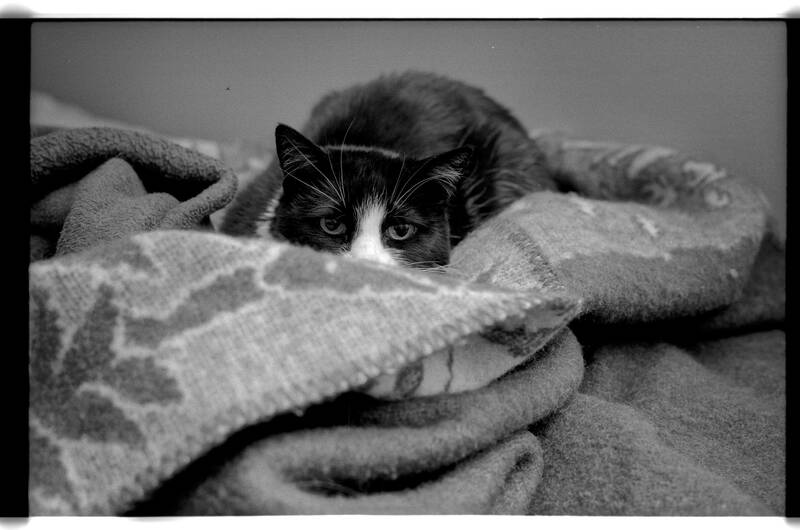 The only thing that is still enough to focus using my m8's rangefinder is my cat when it is sleeping. And even then it's a crap shoot if it happens to yawn. Leica owners photographing their cats may supplant the dentist meme. Live view on my M240 is fantastic for checking for rf accuracy with any lens, focus shift at different apertures, adapting other lenses, using the leveling grid feature for landscape or architectural work. Other than that it is useless. cat snaps. My Z7 w macro lens provides so much detail that when I focus on BooBoo’s eye, I can actually see what she is thinking. And I wish I hadn't. 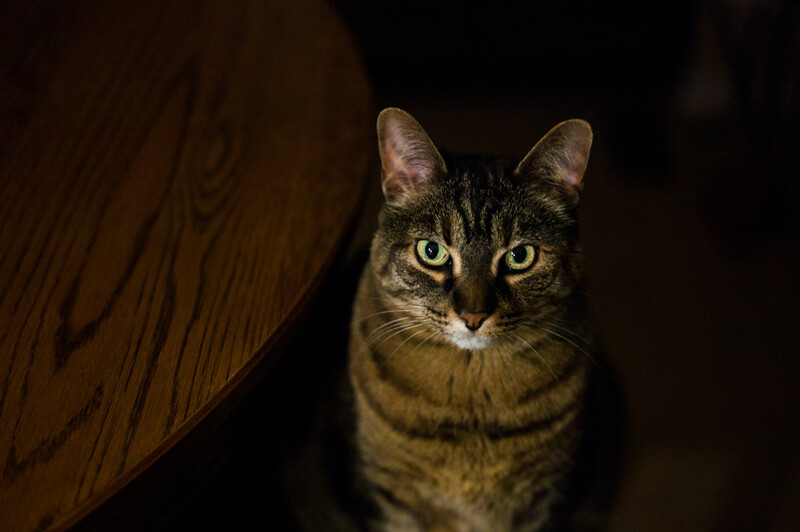 My cat is psychic..it knows what I'm thinking all the time..and it is pissed off..that I don't photograph it..with a Leica M10..
My cat has posed for my Sonys (video or A6000) more than any other camera I own. 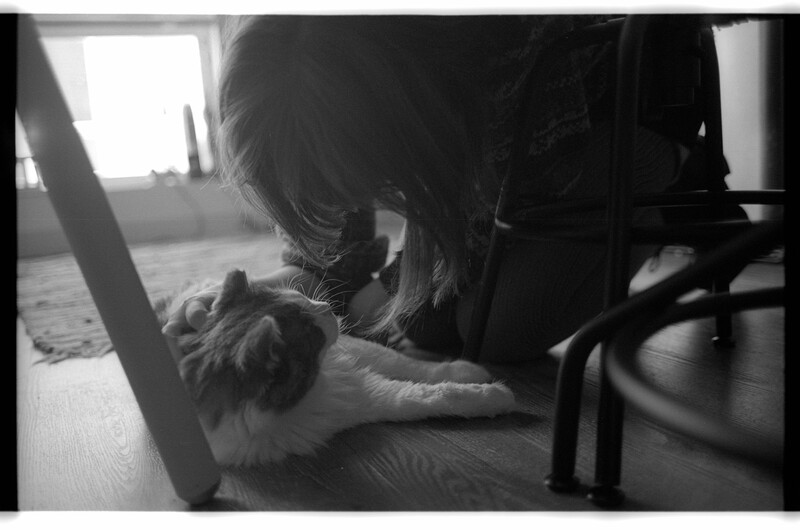 My dog on the other hand...luvs Sony cams..
My cat doesn't seem to mind an SLR too much. That's one piece of equipment that gets used more to photograph cats than anything else: my brother left an old Micro-Nikkor at my house years and years ago and refuses to let me give it back to him. I don't have much use for it, so I'll pop it on and run through a short roll from the end of a bulk roll just for the heck of it taking pictures of things around the house. I poured over Masahisa Fukase's book of cat photos, The Strawhat Cat, at the LA Art Book Fair. I almost bought it just to show people that cat photos don't have to be boring.